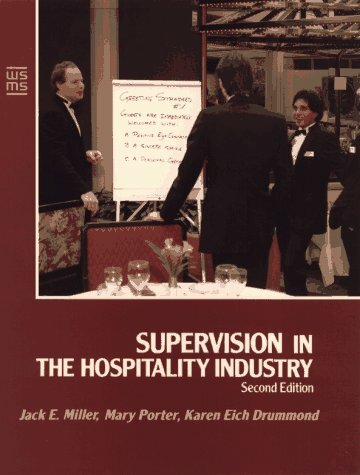 This Fifth Edition provides comprehensive coverage of the principles, theories, human relations techniques, and decision-making skills that are required to manage a workforce to profitable results. It helps managers satisfy obligations to owners, customers, and employees while maintaining a positive work climate, developing job expectations, disciplining marginal employees, and addressing workplace diversity. 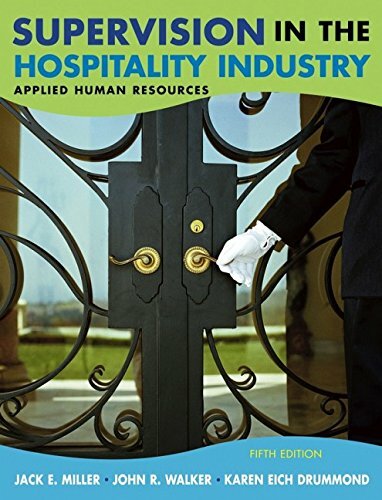 It takes a lot of savvy to manage a thriving hospitality business. Managers must satisfy obligations to owners, customers, and employees while maintaining a positive work climate, developing job expectations, disciplining marginal employees, and addressing workplace diversity. Methods for achieving these goals as well as for communicating effectively, planning, organizing, and maintaining a management point of view are reinforced through quizzes, exercises, self-assessments, simulations, case studies, role play, and journal writing. 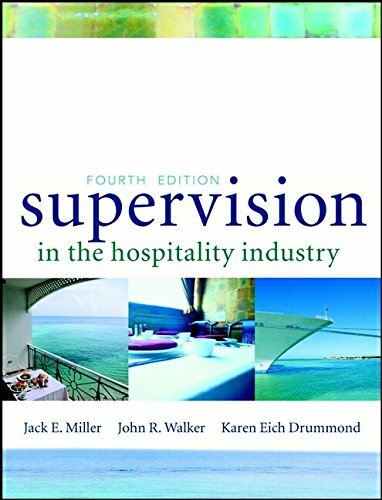 Supervision in the Hospitality Industry, Fifth Edition is the complete guide for students in culinary and hospitality programs, as well as foodservice professionals and chefs. 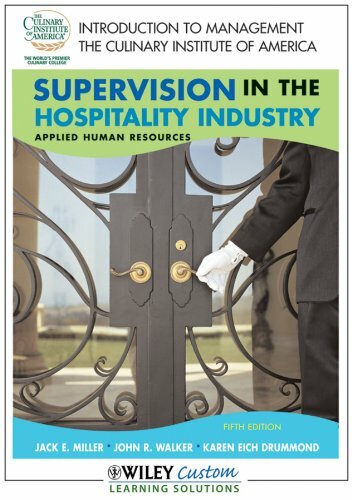 JOHN R. WALKER, DBA, CHA, FMP, is the McKibbon Professor of Hotel and Restaurant Management at the School of Hotel and Restaurant Management at the University of South Florida, Sarasota–Manatee. Karen Eich Drummond, Edd, RD, FADA, FMP, is a foodservice and nutrition consultant and writer. She has authored and coauthored numerous books, including Nutrition for Foodservice and Culinary Professionals, So You Want to Be a Chef?, and The Restaurant Training Program, all published by Wiley. 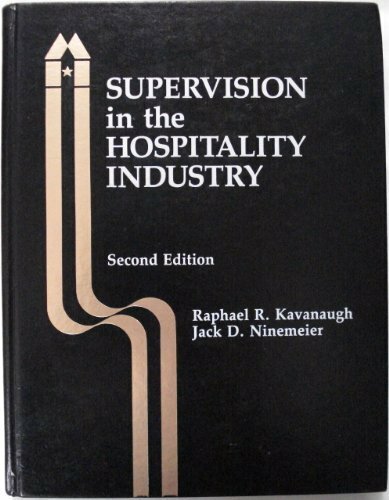 The late Jack E. Miller collaborated on several books in hospitality management, including Menu: Pricing & Strategy, and Food and Beverage Cost Control, Second Edition, both from Wiley. Miller, Jack E.; Walker, John R.; Drummond, Karen E.
Drummond, Karen E.; Miller, Jack E.; Walker, John R.
Miller, Jack E. & Walker, John R.
Drummond Karen Eich Walker John R. Miller Jack E.